Circus Arts was born from a love of sharing the transformative art form of circus with others. Founder Belinda Hultgren experienced first hand the positive effects of circus on her own life at the age of 18. “I always enjoyed physical activity but never thought I would ever perform in front of people. But the moment I tried flying trapeze, I fell in love with it and couldn’t wait to share it with other people. Circus boosted my confidence and showed me just how much I could achieve”. After years of performing all over the world, it was sharing and inspiring others that brought Belinda back to Australia to start Circus Arts. Belinda opened Sydney’s first flying trapeze rig in 1999. Its popularity amongst those wishing to push personal boundaries and experience the thrill of flying lead to the opening of the Byron Bay location in 2006. Striving to provide a more extensive circus experience, Belinda opened Australia’s first indoor flying trapeze rig and circus venue offering classes for all ages and abilities. Circus Arts Byron Bay now offers a range of circus classes which provide a progression from Kinder exploration through to professional performance. In 2011, Circus Arts launched their in-house talent agency, Australian Circus Artists, which seeks performance opportunities for over 200 artists nationally, assisting in creating a sustainable and thriving circus industry and helping to increase exposure of the artform. In 2012 and 2014, the Brisbane and Gold Coast (2012-2018) trapeze rigs were opened, completing the national presence for Circus Arts. Circus boosted my confidence and showed me just how much I could achieve. Circus Arts’ mission is simple. It is to inspire people to love circus as much as we do! We have seen and experienced first hand the powerful effects of circus and we want you to experience it too. We do this by giving YOU the opportunity to learn new, unique, fun, physical and creative skills, which have the power to transform you physically, mentally and creatively. Circus’s unique blend of art and sport, played out in a supportive, non-competitive environment makes it the perfect physical activity for people of all levels of confidence and abilities. Circus Arts exists to make you happy and healthy by providing easy access to this exciting art form that can truly change your life! To be fun loving; to smile, joke and laugh; to seek and engage in fun filled activities. To acquire new or enhance existing skills, knowledge or behaviour. To gain in self-confidence; to self-improve; to learn; to perform. To freely express through art, style, fashion, behaviour and performance. To be innovative, unique and open minded. To be accepting of ourselves and others. To welcome all peoples of all abilities as equals. To treat myself and others with care and consideration. Our vision is to be the provider of circus activities that promote enjoyment, creativity and personal development for families and those of all ages, abilities and cultures. We want our customers to have the best experience with us. Our dream is to increase access to the world of circus for everyone, inspiring change and growth in individuals and within communities. Circus celebrates the differences in everyone and Circus Arts is proud to offer classes and activities for participants of all abilities.Partaking in Circus Arts activities allows participants to enjoy a new level of independence and community engagement whilst also challenging their own personal boundaries and perceived limitations. Circus Arts staff are trained in teaching participants of varying ability levels and all of our venues have wheelchair access. The Byron Bay location also has auto-belays on the climbing wall so carers can assist participants while climbing or allow them to climb independently without a carer actively required. Please let our staff know if you or your group require any special attention from our already very attentive staff! 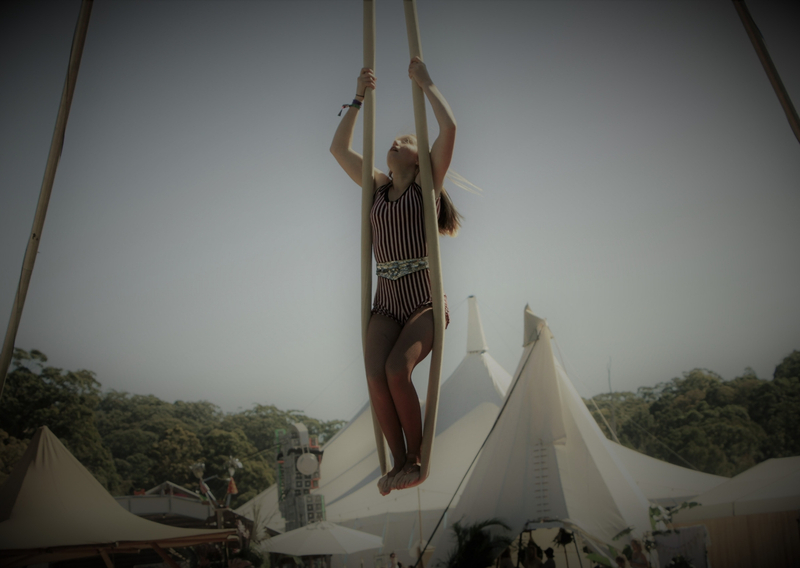 Friends of the Circus is a Not For Profit organisation based in Byron Bay that works in collaboration with Circus Arts to provide training, production and performance opportunities for youth in the Northern Rivers. Circus Arts helps FOTC provide performance opportunities at the Term Showcases and community events and festivals. Circus Arts also helps FOTC fundraise via raffles and other events throughout the year. Money raised goes towards purchasing equipment to advance the training of our circus students and production crew. FOTC have performed at Bluesfest, Woodford Folk Festival, Splendour in the Grass, Bangalow Billycart Derby, Kites & Bikes, Sample Food Festival, Mullum Music Festival and much more!